1 Corinthians 1:11Follow my example, as I follow the example of Christ. Together in Jesus Christ we are freed by grace to live faithfully, witness boldly, and serve joyfully. Our values are grounded in faith, in our biblical and Lutheran confessional sources and in our love of God and neighbor. They speak to the way this church lives and practices this faith, and they will guide how we journey forward in Christ as church together. At St. John, we recognize that faith must extend beyond the church building. Each year, our youth members take part in mission trips across the country. The congregation also supports an ELCA missionary serving in the West African country of Cameroon and partners locally with other churches in town for Ecumenical Thanksgiving Services and community outreach to those in need through programs such as the FISH Network, Belle Plaine Food Shelf, Families Moving Forward, and the Good Samaritan Fund. Please view our resources section for more information about our Lutheran faith and its community services. Sunday 8:00 and 10:30 am. M-F: 9 am - Noon, 1 pm - 5 pm. 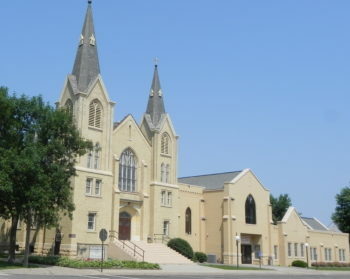 © 2019 Copyright St. John Lutheran Church.